After the construction of our new gate and repair of our laundry area, our bathroom is undergoing a minor facelift. My husband wants to have tiles in the bathroom wall to give it a fresh and clean look. We have a very small bathroom so we are allotting a minimal budget for it. Moen kitchen faucets can add elegance to the bathroom sink, but we can’t accommodate a new sink inside the bathroom at the moment because of the small floor area. 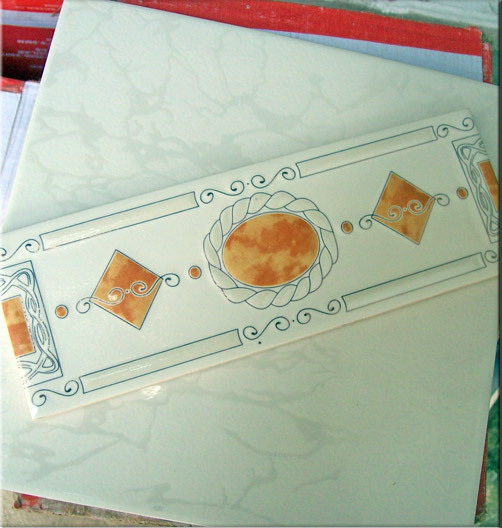 This entry was posted in Home improvement and tagged bathroom, faucet, tiles on December 12, 2010 by Yami.